Commonwealth Land Trust (CLT) is committed to ending homelessness in Massachusetts by providing affordable housing and on-site supportive services to formerly homeless individuals and families. Without a stable permanent residence, homeless individuals face serious challenges in managing their health, sustaining a job, pursuing educational and vocational opportunities, and contributing to society. Homeless people reside in every Massachusetts community. They live in cars, abandoned buildings, and on the streets. Many cycle in and out emergency shelters and find occasional lodging in overcrowded and unsafe living situations. Indeed, many individuals enter our housing in a highly vulnerable state, having experienced a tremendous amount of stress. CLT believes that everyone has the right to safe, decent housing. In providing this important service, CLT focuses on the following areas: Ending Homelessness, HIV/AIDS & Homelessness, Homeless Veterans, Supportive Housing & Family Housing. Over the years, Commonwealth Land Trust has helped bring thousands of individuals and families out of homelessness. The links below provide individual accounts of our impact and illustrate the effectiveness of our holistic on-site supportive housing model. Volunteer Photojournalist Ari Neiditz created Bowdoin Stories in 2009. He shadowed case management staff at our largest supportive housing program, Bowdoin Manor in Beacon Hill, and created a photo-audio project documenting three of our residents’ lives. 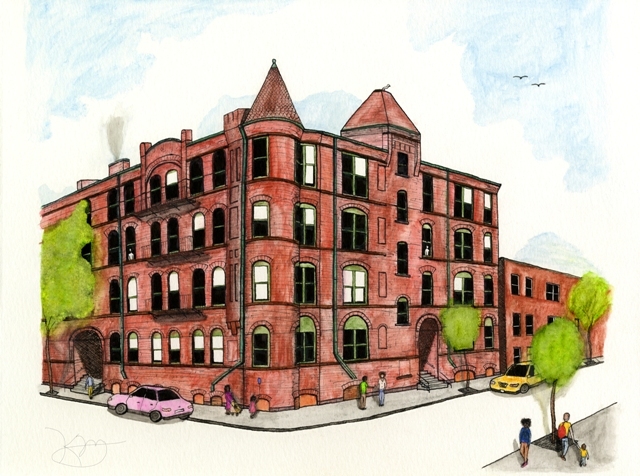 Henry, Roy, and Sherry describe the events that precipitated their homeless and how living at Bowdoin Manor has improved their health and well-being. Volunteer Videographer Chris Goff conducted interviews with seven CLT residents. 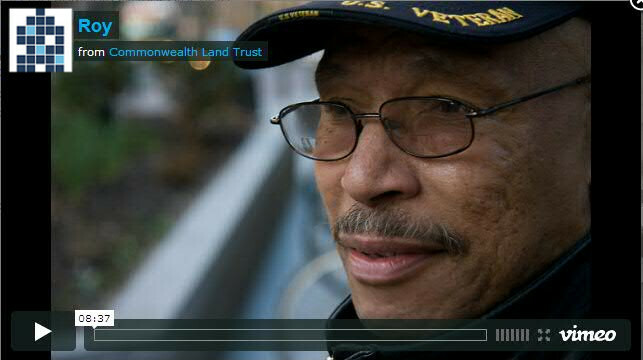 In these videos, residents describe their experiences at CLT and how supportive housing has impacted their lives. Chris created the promotional video featured on our home page by weaving together these individual videos. Volunteer Videographer Chris Goff conducted interviews with three CLT staff members. In these videos, Ellen M. Tan (president & CEO), Stephen Wilkins (director of marketing & outreach), and Patrick Haynes (case manager) describe the effectiveness of CLT’s holistic supportive housing model. CLT staff interviewed five supportive housing residents and created brief narratives documenting their success in our housing. CLT staff also interviewed three family housing residents, two of whom have lived in CLT-managed apartments for over thirty years. The testimonials page features statements from residents describing their experiences at CLT. In addition, several community partners have provided statements supporting our work.